This week I did my mother’s nails and she requested her favorite holly berry nail art. 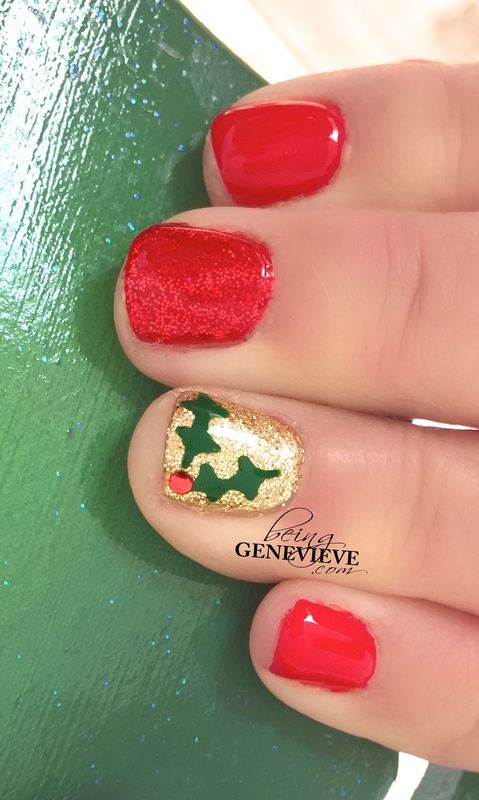 We decided to do the holly berry on a glitter nail to help create a very sparkly, attention-grabbing nail art design. Here’s what we did. . . Paint all of the nails, except the ring fingers, with two coats of red polish. I used the Shellac color called, Wild Fire. 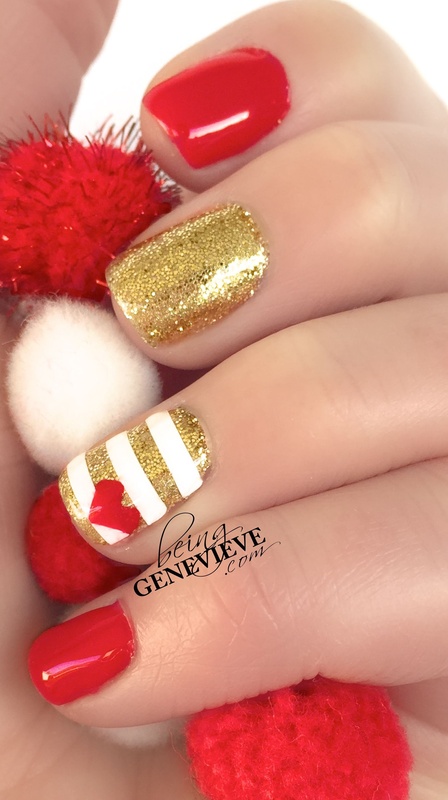 Paint the ring fingers with two coats of gold polish. I used the Shellac color called, Locket Love. 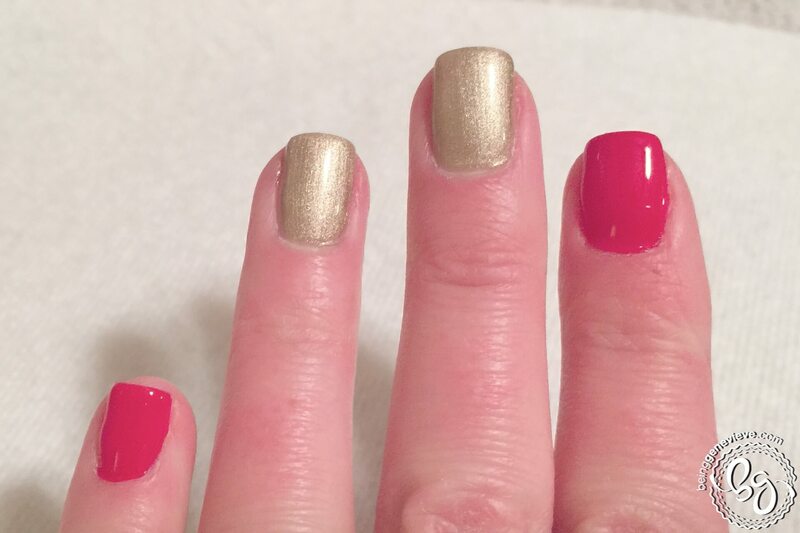 While the second coat of polish is tacky, not wet, gently dust a fine layer of gold glitter onto the ring finger polish and red glitter onto the middle finger, just as I did for my Simply in Love nails. I used Martha Stewart craft glitter , colors florentine gold and garnet. Then gently press the glitter into the tacky polish. 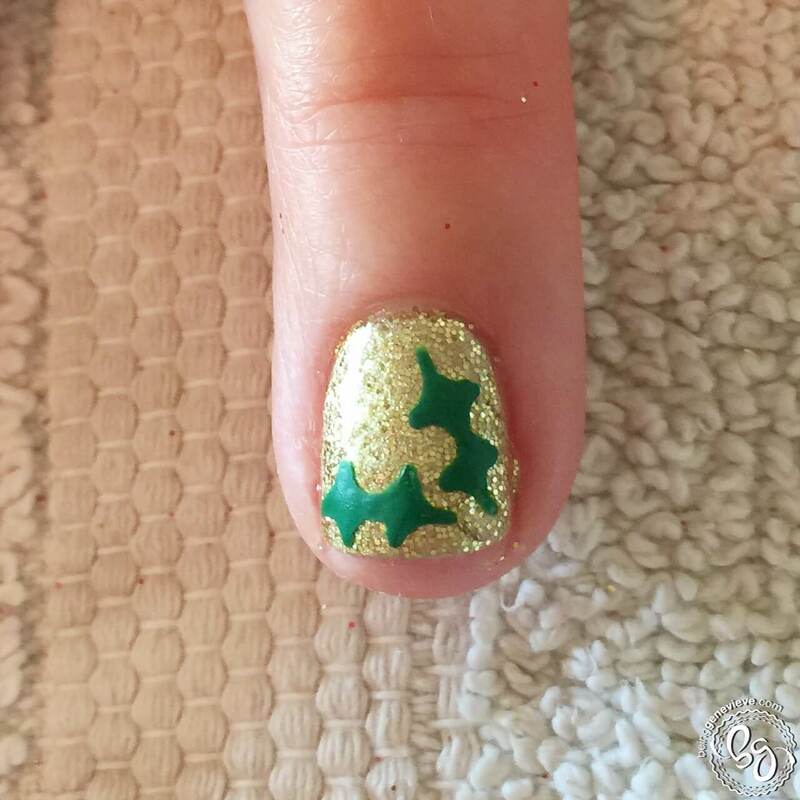 This will create a different look than applying the glitter when the polish is wet. 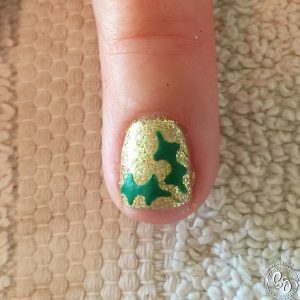 Now apply a top coat to seal in the glitter so that as you adjust your vinyl it won’t remove the glitter. 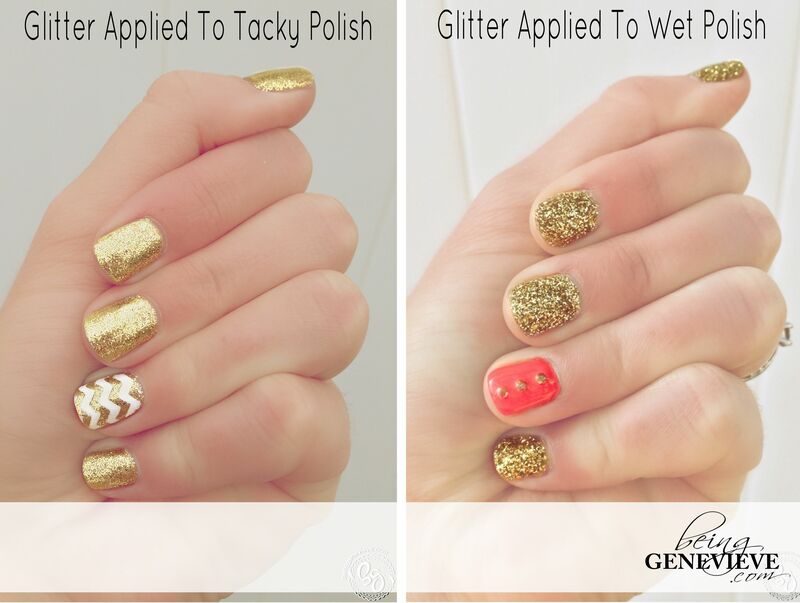 Gel Polish: Apply glitter after the second coat of polish is cured, but still has that tacky residue on the surface. 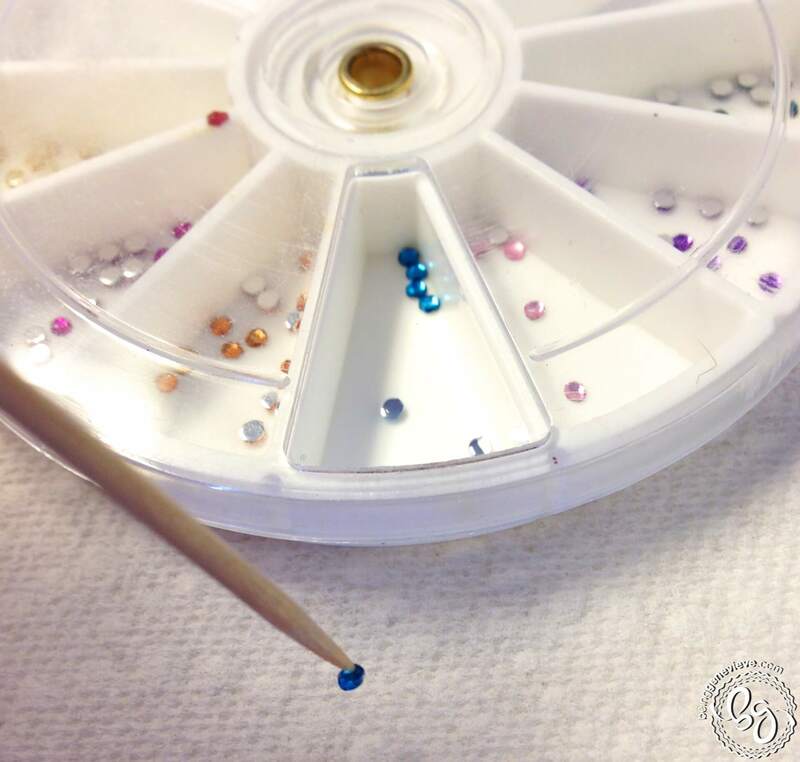 Now apply a top coat over the glitter and cure 2 minutes in the UV light, or 1 minute in an LED light. Now paint two holly leaves onto each ring finger. I have put together a little picture guide to help you visualize how to paint a holly leaf. Begin with a line. Then add two perpendicular lines. Then do a curved line to connect all the end points. 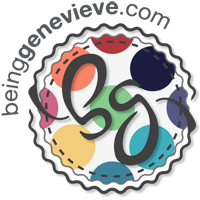 Now do a half circle for the middle lines. Now fill in. Note: When hand painting images on your nails use acrylic craft paints, not polish. You will get crisper lines and much more pop than you would with polish. Some polishes can sometimes dry almost transparent which makes the image hazy and you won’t get the wow factor you are going for. Apply a health top coat to all the nails. Make sure the paint is completely dry before adding top coat to help avoid smearing. 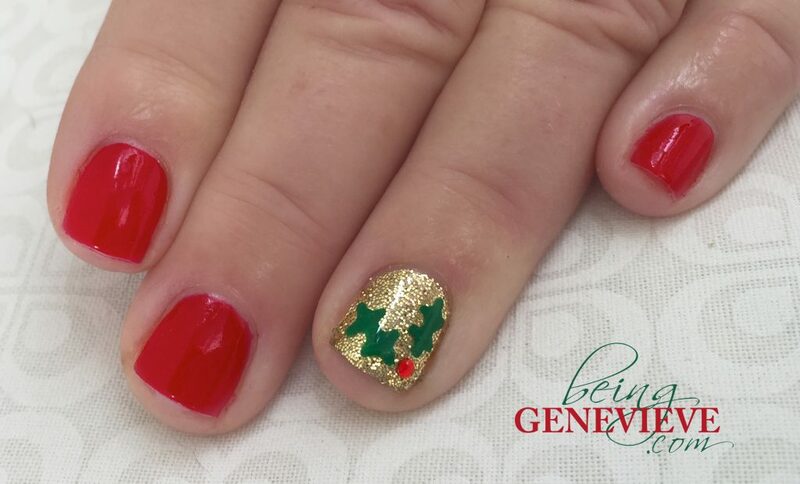 While top coat is very wet, apply a red jewel next to the holly leaves, gently push the jewel into the top coat. This will create the jewel to be sealed into the top coat layer.